Are you struggling in your classes? Do you need someone to help you understand the materials? RBC offers free tutoring services for all full and part-time students. All professors are required to have open office hours, where you can come and ask questions. The hours are usually listed on your syllabus. Drop by and talk with your professor about any difficult assignments or to plan ahead for an exam or quiz. Tutoring in the areas of Math and Writing is done by qualified students. Both students and faculty provide tutoring in the areas of Biology and Chemistry. Ask 2-10 students who are taking the same courses to join you. Ask your professor for any extra information or materials that would be helpful in learning the coursework. Be sure you exchange email addresses with your professor, in case you have questions. Set a time and location for your learning community to meet. These meets can occur in a physical space, like the library, or through social media. For example, you can use Facebook as a discussion board! If you need help with your research, information on how to correctly cite sources for your paper, or if you’re struggling to find a topic for your paper, don’t hesitate to ask a librarian for help. You can call the library at (804) 862-6226, email at library@rbc.edu, or fill out this. 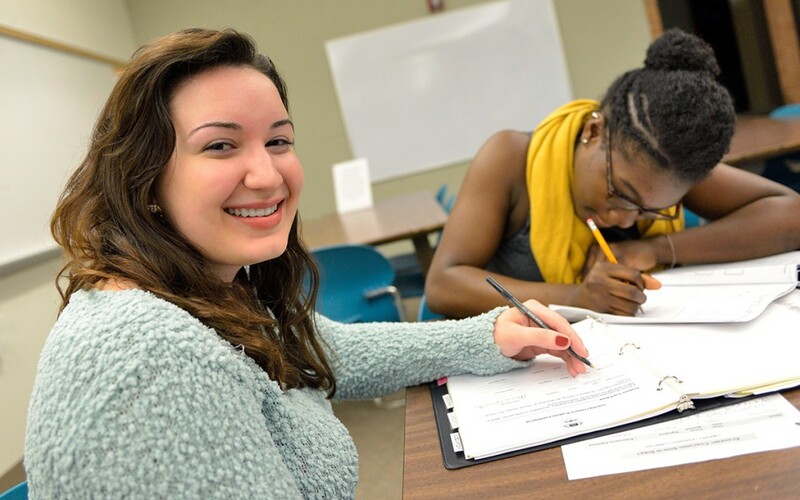 If you need help with writing related tasks, please consider visiting the Richard Bland College Writing Center. To access free, online Tutoring Services through Smarthinking, please follow these directions through your Canvas account! Through the RBC Website, log into Canvas by going to Info For > Canvas. Once you have logged into Canvas, through any of your Canvas course pages you may access the “Smarthinking Tutoring” link via the left hand side toolbar. Feel free to browse the Smarthinking website and view the “How To” tutorials provided! With online tutoring services from Smarthinking, students get on-demand, individual instruction and support from expert online tutors across a wide variety of subjects, from beginner to advanced, up to 24 hours a day. Khan Academy provides free videos to help you understand what you’re already learning in class. They focus on math, science, and economics.